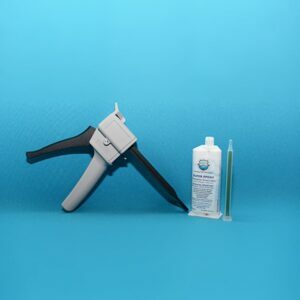 Why AquaGuard Plus – Epoxy Pool Primer? 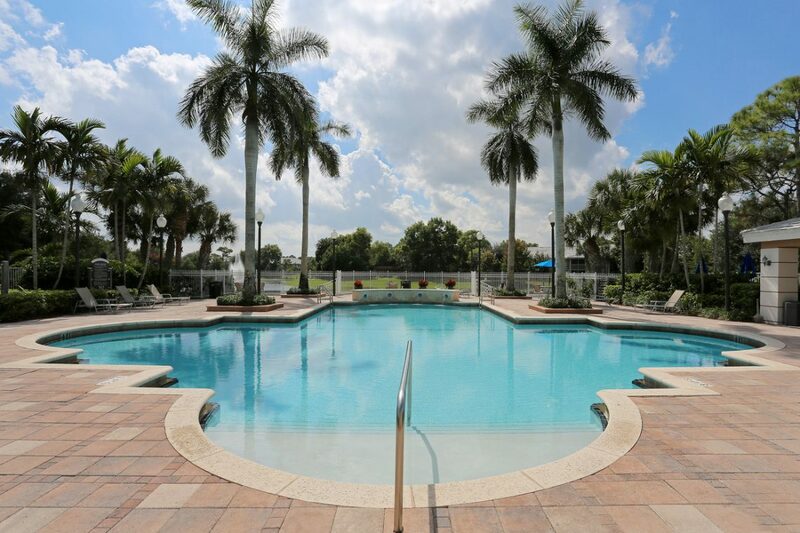 AquaGuard Plus is our strongest most comprehensive coating in the Swimming Pool Industry today. 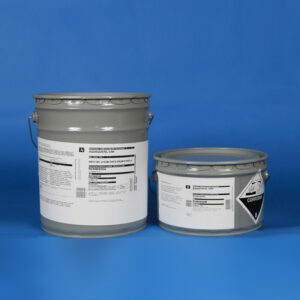 By utilizing AquaGuard 5001 a moisture tolerant, 100% Solids Epoxy Primer matched with 1.5 oz. FRP chopped strand hand applied Fiberglass matting that has an outstanding adhesion to poorly prepared surfaces and good chemical resistance. AquaGuard Plus is a must for Swimming Pools & Spa’s and Marine Habitats in poor condition, cracks, leaks, steel structures and areas of extreme weather changes. Then spray apply a single continuous coat of AquaGuard 5000 (40-60 ml (DFT)) or roll apply 3 coats (25-30 ml (DFT)). We prepare the pool by acid and power washing the surface to remove contaminants. We then fill in all cracks and voids and cut seal lines around all fittings and accessories. After preparing the surface, the AquaGuard 5001 is applied. 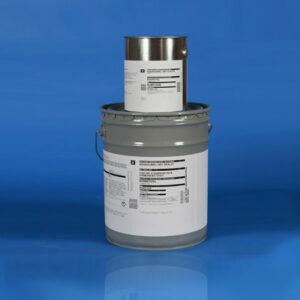 AquaGuard 5001 is a unique product developed by Aquatic Technologies Group, LLC to create the strongest cohesive bond possible. 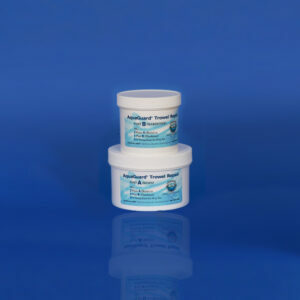 AquaGuard 5001 is specifically designed to penetrate the tiny pores in the surface that is being treated. 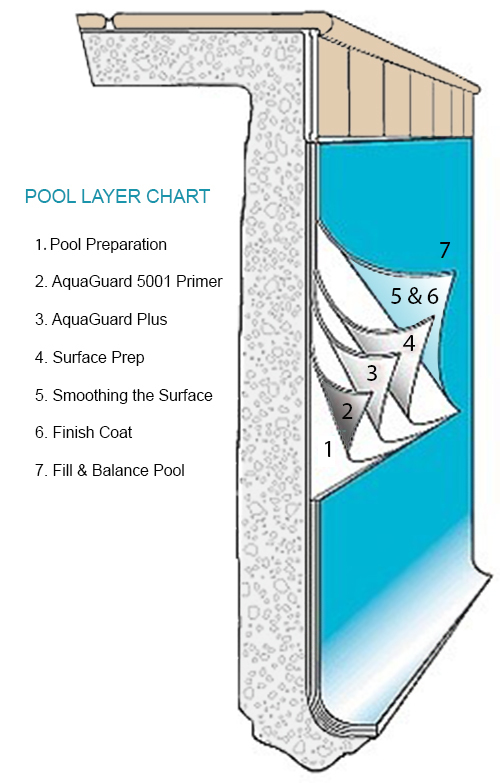 This enhances cohesion of the AquaGuard 5001 coating to the pool, providing an ultra tight barrier to any aquatic surface. Next, We now carefully apply 1.5 oz. reinforced fiberglass mat hand applied with AquaGuard 5001 moisture tolerant epoxy resin. This will give AquaGuard 5000 added strength to the surface. Check the surface for uniformity and no defects. Re-sand entire surface for proper adhesion of the AquaGuard 5000 System. During this step we will check over our work to address any imperfections. Apply AquaGuard 5000 Trowel mix to all edges and seams for a perfect consistent surface. Re-Sand if needed. Fill and balance pool 24 hours after applying the last coat of AquaGuard 5000. Happy Swimming!